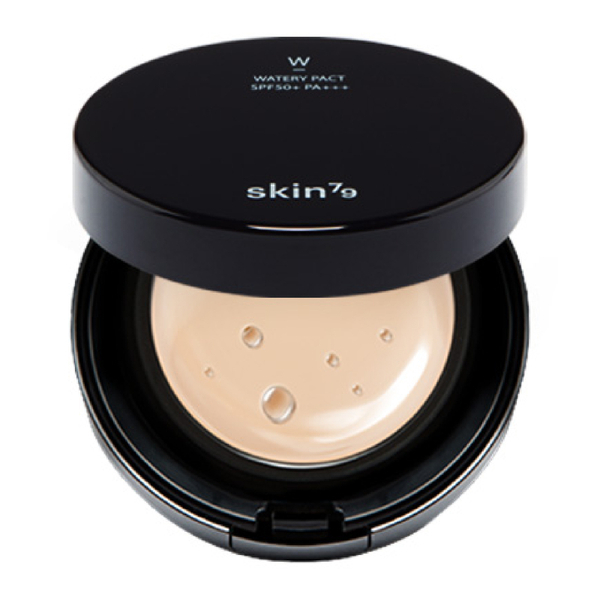 Achieve a flawless complexion with the Watery Pact SPF50+ PA+++ #23 from Korean brand, Skin79. The emollient foundation offers an even complexion that is smooth and hydrated, ideal for use as a primer. #23 delivers a medium hue for darker skin tones. Enriched with Lotus Flower, the hydrating formula provides skin with long-lasting moisturisation to keep makeup looking freshly applied all day long.